It’s very possible that by the end of the summer Democrats will be wishing that Arlen Specter was their Senate nominee in Pennsylvania. 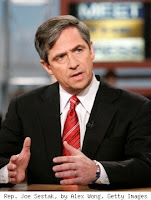 Joe Sestak told the truth and because of his honesty the biggest White House scandal since Monica Lewinsky is percolating between news stories about oil spills and immigration. One almost has to feel sorry for the players involved in this one. During the Democratic senate primary campaign, Rep. Sestak stated several times that the White House had offered him a job in the administration if he agreed to drop out of the race. His exit would have resulted in a clear path to the nomination for Specter, the White House’s favored candidate. My guess is that when Sestak admitted that he had been offered the job, he didn’t know that what the White House had done was illegal. In fact, I’m guessing that many Americans were surprised when they found out that offering high profile government jobs in exchange for political favors was against the law. We all know that this kind of thing happens all the time in Washington. Perhaps even those in the White House who approved the offer didn’t know of the practice’s illegality. Many of the administration’s higher-ups have spent their lives entrenched in the Chicago political where it’s common to turn a blind eye to far more egregious behavior. It’s totally believable that President Obama himself just assumed that the offer to Sestak was totally lawful. But ignorance of the law is not an excuse for breaking the law. Now Sestak is the Democratic senate nominee and his disclosure of the political favor offered to him could very well serve to throw into complete chaos an administration that is already plummeting in the polls. There are only a few ways that this story can play out. The best scenario for the White House would be if Sestak were to recant and claim that the whole thing had been a big misunderstanding and that he was never offered any job to begin with. But no one’s going to buy this. If Sestak goes down this path in an effort to protect the administration he loses all credibility in a Senate race where credibility and an image of incorruptibility was his greatest asset. This race was going to be close anyway. If Pennsylvanians think that Sestak is just another slippery Washington pol, in what is shaping up to be a very anti-Washington year, then he’s probably going to lose, putting a big +1 in the GOP’s 2010 Senate column. Once names are named, the nation’s focus will turn to the Obama Administration. Heads should begin to roll. Those heads will likely belong to administration officials who are very close to the President himself. Obama’s principle political operatives Rahm Emanuel and Valerie Jarrett are likely to draw the most attention since one of them was probably responsible for delivering the message offering Sestak the position. But even the embarrassing resignation by someone in Obama’s inner circle won’t be sufficient to put this matter to rest. There was no chance that Sestak would have dropped out of the race unless the White House had offered him a job with a higher profile or more political power than that which he would have acquired as a U.S. Senator. The White House must have known that Sestak would never abandon his challenge to Specter in exchange for a position as the ambassador to Bangladesh or Undersecretary of Transportation. In all likelihood Sestak was offered a job as the Secretary of the Navy or some other high level position that would require the go- ahead from President Obama himself before it was offered. If it is discovered that the president was complicit in this, things could get very bad for the Democrats. Of course, it represents yet another strike against an already struggling party in the lead up to the fall elections. But if the GOP somehow manages to regain control of the House of Representatives, then investigations and perhaps more severe charges leveled against administration officials are sure to follow. Indeed, embarrassment might be the least of Obama’s worries once the facts really begin to come out. But if Gibbs is so sure of this then it behooves the administration to release the details of its interactions with Sestak so that we can put all of this talk of impropriety behind us. Many recent administrations have had to deal with some kind of scandal. Nixon was brought down by Watergate, Reagan had Iran-Contra, Clinton had Monica Lewinsky. But all of those major controversies exploded well into each president’s second term. If Sestakgate reaches a boiling-point prior to or even shortly following the first mid-term election of Obama’s presidency, it could cripple him politically. This would almost certainly result in cementing a rather grim legacy for Barack Obama’s presidency. On the other hand, many would say that he was already well on his way to solidifying his place in history as one of America’s lower quality chief executives before anyone even knew who Joe Sestak was. "There will be an official response shortly on the Sestak matter. I mean shortly -- I don't mean weeks or months. ... I can assure the public that nothing improper took place." Translation: I will address this matter as soon as my lawyers figure out a way to get around the improper behavior that clearly took place. My Book Is Now Availiable!!! CLICK HERE TO BUY GENERATION RIGHT NOW!!!!! 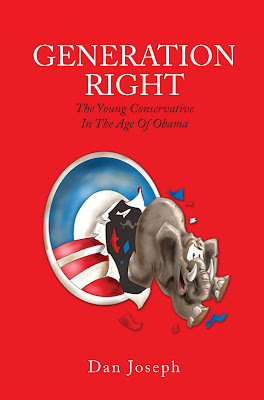 Are you a conservative between the ages of 18-35? Do you know someone who is? Do you know a young liberal who needs to be set straight before they become a liberal for life? Are you a member of another generation who's pulling your hair out trying to figure out why your kids don't get it? If you answered yes to any of these questions then this book contains many of the answers that you've been asking yourself for years. Why are young people drawn to liberal causes? Why did they overwhelmingly vote for Barack Obama in 2008? How do young conservatives go about fighting back against the liberalism that dominates on American college campuses, in Hollywood and in the places where members of Generation Y live and work? How can the conservative movement bring members of this generation back into the fold? Conservatives have avoided asking themselves these tough questions for far too long and they have paid dearly for it. The answers are within these pages. Dan Joseph has spent his entire life surrounded by young liberals. As a student, a Hollywood actor, an aspiring journalist and a conservative blogger, Joseph has used his experiences to map out the psychological trajectory that has led the majority of Generation Y down the path towards modern liberalism. What Does the Left Love About America? “I believe in American exceptionalism, just as the Brits believe in British exceptionalism, and the Greeks in Greek exceptionalism..."
Of course, the president had no way of knowing that a year later the idea of Greece being exceptional in any way other than its residents’ ability to cook up a mean lamb dish would be laughable. But the message that Obama was trying to convey at the time was perfectly obvious. In his view, there was nothing special about America. It was just another landmass surrounded by water. Our flag was, just another piece of cloth, representing no more than any other piece of fabric that waves over a nation’s capitol building. This should come as no surprise. Despite its protestations, the Left’s belief that patriotism is little more than an irrational love for the soil and gravel that one calls “home” is well documented. 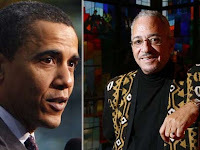 But since the Obama era began and the goal of “fundamentally transforming America” has begun to be realized, questions of how the Left really views America are being asked more frequently by those on the Right. 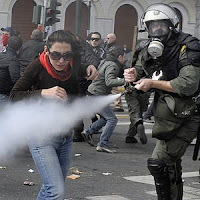 Under Obama’s “Greek exceptionalism” theory, America has no special purpose. It is not inherently good or evil in the grand scheme of recent history. Rather it is simply another player--a giant floating rock, whose inhabitants and government have gotten lucky both economically and militarily on a number of occasions. But does Obama really revere America? If so, what does he love about it? He has never really explained this in terms that go beyond his own personal experiences in this country which have culminated in his ascension to the presidency. If he does love America, why is he so determined to fundamentally change so many of the things that have made us so influential and prosperous and instead lead us down a path that would make us more like Greece? Those on the Left bristle at any implication that they lack patriotism, even though many on the Left believe that “patriotism” is a foolish concept to begin with. But it’s a fair question. 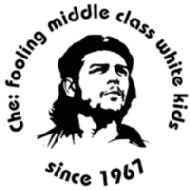 We know that many on the Left see America as a racist, homophobic place, a nation in which there is an unacceptable gap between the “haves” and the “have nots,” a nation whose elites have used their power to exploit the poor, both at home and abroad; an imperialist force that has used its military might to gain undue influence over others and gain access to their resources, indiscriminately killing innocent civilians in the process. To top it all off, these progressives see the United States as the primary culprit in the slow murder of Mother Earth. Now, if I felt that any assertion in the previous paragraph was an accurate description of my country, I would not be a very proud citizen. If I believed any of these things, I’m pretty sure I would despise this country. So obviously, the Left can’t have it both ways. They cannot profess to love this country, yet at the very same time hate almost everything about it. So which is it, progressives? What do you “love” about America? Do you love what we are and how we became what we are, or do you love our potential to be something that we are not? This question helps explain the Tea Party movement and its recent battles with the Obama administration and pro-administration forces within the mainstream media. The Tea Partiers’ view the government as having made many good choices in the pre-Obama era. They believe that our avoidance of European style entitlements, high taxes and social democracy helped make the United States the most prosperous society in history with a standard of living that is second to none. They see our willingness to expend blood and treasure in our efforts to bring fundamental, natural rights to oppressed people as noble, if not always well executed, endeavors. Finally, they see Obama and his congressional allies as having a mindset and agenda that is antithetical to the successes that America has had over the last three decades. They rightfully recognize that if Obama succeeds, the American ideal fails. To Obama’s credit is his understanding that he can only go so far in apologizing for what he views as America’s recent mistakes and excesses. He knows that political prudence dictates that he must walk a fine line in his criticism of the country he leads, lest the electorate begins to wonder if he wouldn’t be happier as the president of France or the Secretary General of the U.N.
And then there is Michelle Obama. There’s a reason why she has been relegated to White House gardening duty and is rarely permitted to speak at high profile events or comment on policy, as Hillary Clinton was permitted to do in the early 1990s. The Administration knows that Mrs. Obama is prone to speak her radical mind and could potentially make another comment along the lines of “For the first time in my adult lifetime, I'm really proud of my country.” Permitting her to speak out comes with the risk that she may actually say what she really believes and such an exposure of her true colors would once again raise red flags, causing Americans to wonder just how much of the mindset of Reverend Wright and Bill Ayers the First Family took with them to the White House. During the Iraq War, the Left insisted that its vocal opposition to the conflict was the height of patriotic expression, even though their solution to the war was to abandon the battlefield--an act that would have led to a humiliating defeat and served no one’s interests except for al-Qaeda’s. Still, many of us on the Right gave liberals the benefit of the doubt. Yet, now that the Left is in control of the government, their intentions increasingly appear to include radical change in the way our nation runs its economy and deals with both our allies and enemies. One must ask whether there is anything that the modern progressive movement likes about what the United States has become since the end of the Vietnam era? 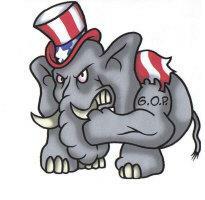 Being an American “patriot” does not mean that we unquestioningly support our government. It does not mean that we must agree with a war or with every decision made by an electoral majority. What it does mean is that in the grand scheme of things, we take pride in our nation’s achievements and believe that we are a force for good in the world. It’s not so much about where we’re going as a nation, but where we’ve been and what we’ve become. If you’re the type of individual who thinks that we’ve been doing pretty much everything wrong in recent years and feel that America can only be redeemed by “fundamentally transforming” the entire country, then you may be a good and well intentioned individual. But your insistence that you love your country, should, perhaps undergo a bit more scrutiny than it has been subject to in the past.